It has been a while since my last hobby update. These figures were completed a few months ago and the pictures have been sitting in my camera waiting to be edited and uploaded. These were completed for the Montags Kill Team Campaign 2018. I placed 3rd in the league. It was fun to paint these models and I like the way they came out. 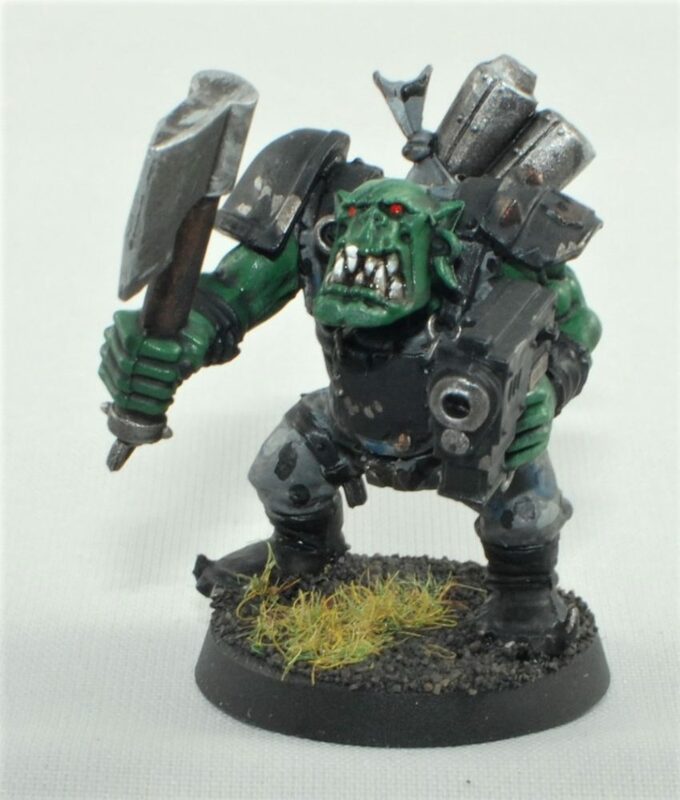 I diffidently do not want to paint 100 more, I may just paint each of my ork units in a different scheme.